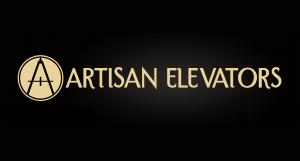 Many people who are in the market for a home s tair lift are first-time buyers. Are you one of those people? No problem. There is a lot to learn when the time comes to adding a stair lift to a home. Just be aware and be open to accepting knowledge and be willing to learn. It will pay off. One of the first questions you may ask is trying to discover how the stair lift attaches to the staircase. The answer is simple. A stair lift rail attaches directly to the stair treads every three to four steps. The rail does not attach to the wall. However, it can be attached to hardwood, carpeted or concrete stairs. This does not need to be a straight line process. There are stair lifts designed to work on straight and curved stair lifts. Straight stair lifts can be configured to ride along either the left side or the right side of the staircase. Curved stair lifts can be customized to fit your specific stair case. A curved stair lift requires a custom-built rail that will match the contour of your home’s staircase. 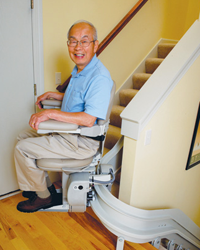 Such a stair lift can maneuver around 90- and 180- turns and flat landings. Check in with an experienced stair lift provider and have all your questions answered as you prepare the best stair lift for your home.